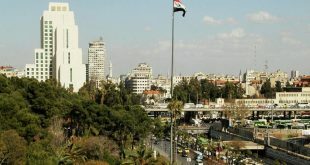 Damascus, SANA – Economy and Foreign Trade Minister Humam al-Jazaeri said that 2014 witnessed growth in agricultural and industrial production compared to 2013, with an increase in local production and exports of clothing, food, and leather products. 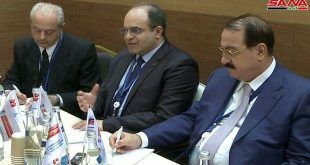 In a press statement, al-Jazaeri said that pharmaceutical industries improved significantly, but the real challenge in this field is recovering high-level production, adding that the production of poultry, vegetables, and fruit has also improved, but there is still need for further improving the production and marketing of strategic crops and restoring the domestic animals sector to its former state. 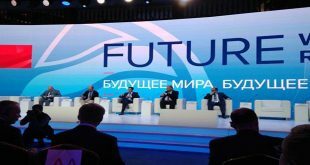 He said that the economic strategy focuses on stabilizing the Syrian Pound exchange rate by focusing on production and export along with the policies of the Central Bank of Syria which carries out intervention and increases import financing. 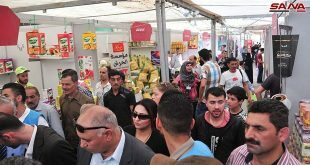 Al-Jazaeri also praised the initiative launched recently by the Syrian Exporters Union and Syrian industrialists to support the Syrian Pound, saying that this gesture, though symbolic, shows a sense of responsibility on the part of industrialists towards national economy.